Register Log In Moparts Forums Corners Are Best - Handling Tech Torsion Bars or Coil Overs? I’ve been thinking seriously about biting the bullet on a new Coil Over set up. Well I thought maybe I need to start doing some research first. Now I don’t do autocross or Racing. Just want a good driver. I’m just getting my car back on the road. Now before I start I do have a new Borgeson set up, box and pump and new Viking shocks all around. Well As I’m doing my research maybe this coil over set up isn’t what it’s cracked up to be, maybe more a fad than anything. I see some good points as allowing better header choice and so forth for the guys who need it. Ive read arguments over again and again which one is the best and I personally can’t see the justification or advantages for me going coil over but I’m all ears. I know I am going to need new torsion bars as I have weak one on the passenger side. Any ideas or recommendations? I’ll listen to them. Thanks!!! Last edited by 70RT Charger; 02/10/18 08:03 PM. For the money it will be hard to beat Hotchkis and still use your Borgeson box and Viking shocks. Better header clearance....BIG deal! The Dougs and TTI headers fit great with a stock chassis. The cost of the aftermarket coil over setups is a hard pill to swallow as well. 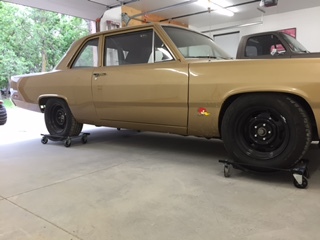 A friend installed a Magnum Force kit and ended up with a wider turning radius and less suspension travel...For almost $5000. Absolutely unnecessary. Do some of the kits deliver as advertised? Yes, but the torsion bar setup has also been proven over time to deliver for a lot lower cost. If you are starting with a car that the front stock front end needs everything rebuilt I would do a coil over conversion.... just my opinion. You will easily spend double the money with a coil over setup if doing a complete rebuild. Is it worth it? Everything is brand new in the front end, all of it. I’ve also read several times about people actually being disappointed with the coil over set up after they made the switch. Now I don’t do autocross or Racing. Just want a good driver. Said it all right there, you want a good torsion bar setup with better tires. "Coilovers" don't just magically equal better handling. They can be made to handle worse, if put into the wrong hands. If you have everything new I would stick with the factory front end, you would be wasting money if that’s important to you. Ok, any suggestions on upgrades? Well I would go with all the usual stuff like big torsion bars, adjustable A arms and a sway bar. PST has a lot of good products that are well priced... one place I would spend money on is shocks. I have Vikings on a few cars and really like adjustable compression and rebound ability, although I feel they could be valved a bit softer. There are a few advantages of a coil over system compared to most stock systems. Typically, they are compact and lightweight. They also offer a broad ranges of spring rates from very light to super heavy and are separated by only 50# increments. They allow fast spring changes and easily adjustable ride heights. So, if you need a lightweight systems with access to multiple rates that allow quick changes, then a coil over system is for you. If you prefer a set it and forget it approach for something that allows you to have fun driving your vehicle, then you most likely only need to step up the rates slightly, improve your alignment specs, and get better tires. Hotchkis and Firm feel can offer you stock based systems that can be incrementally upgraded over time, or all purchased at once for a complete make over. A call to discuss either approach and specific items recommended would be time well spent. The shotgun approach is simply 1" t-bars, 1.125" front sway bar, XHD or equivilent leaf springs, better shock control, 2005 Mustang GT alignment specs, and 200 treadwear tires. Last edited by 70RT Charger; 02/11/18 03:31 PM. The tubular upper and lowers will not change any seat of the pants feel on a street cruiser setup like yours. The basic setup "shotgun approach" highlighted above with your borgenson box should work fine. Bilstein RCD shocks should be sufficient too. You might get some added precision steering/driving feel with a firm feel roller bearing idler arm conversion and steering support. Moog offest rubber upper control arm bushings should help you get the alignment right. I'd go with rubber lower bushings too for a street cruiser. Last edited by autoxcuda; 02/11/18 03:43 PM. The biggest impediment to better, radial friendly alignments in a Mopar is the interelationship of the upper arm adjustment eccentrics to camber and caster. More camber equals less caster. Even rear ride height impacts these adjustments and the stock parts are a big limiting facter. Tubular upper arms are mostly designed with this in mind and will come with additional positive caster built into them over the stock arms while still allowing a range of camber as well. This is why the move to tubular upper arms has become so popular. Tubular lowers may offer more strength or less weight but functionally are no better than the stock arms. Particular brands are not as a big deal. Most providers out there are reasonably good these days but if you have an overall goal on specific parts, you can mix and match parts to get better prices over time. I fyou want to simply get it done, then a call to a single vendor can net most the pieces needed. I know the Qa1 uppers have 3 degrees of extra caster built into them. I do have the offset Moog bushings already in my upper A arms. I don’t know what billstein RCD shocks are or the lower rubber bushings but I have a brand new set of Vikings on it. I plan on Running Nittos on it. I bought my rear springs several years ago before I knew about any of this upgraded stuff. 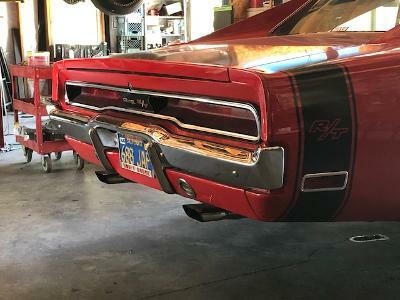 I believe they were HD Mopar Performance springs just like it would have on it brand new but I would like to lower it 2” without buying new springs if that’s possible. Thanks for all the help and suggestions guys, it’s much appreciated. Stop by the Firm Feel site. Bigger torsion bars and Firm Feel upper control arms. But what Autoxcuda says is good by me. What tire sizes are those. 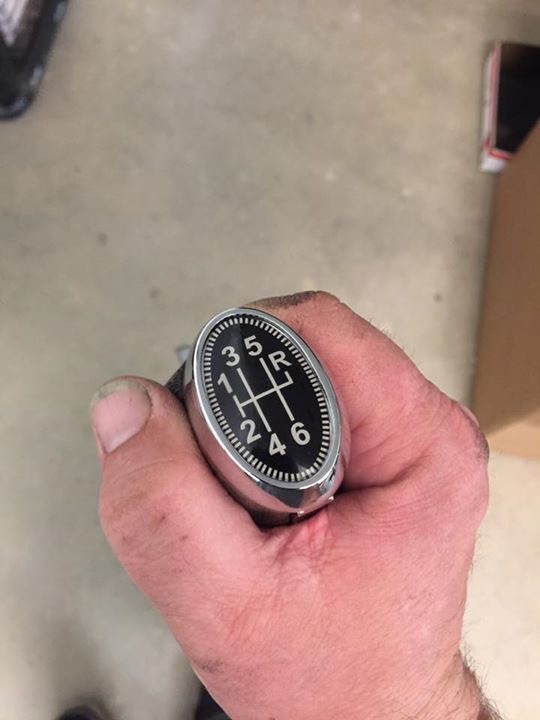 Speed rated performance tires? Those Viking shock are fine. Better than the RCD's most likely. Offset bushing in the upper a-arm are fine. I meant rubber lower control arm bushings in your stock lower control arms.